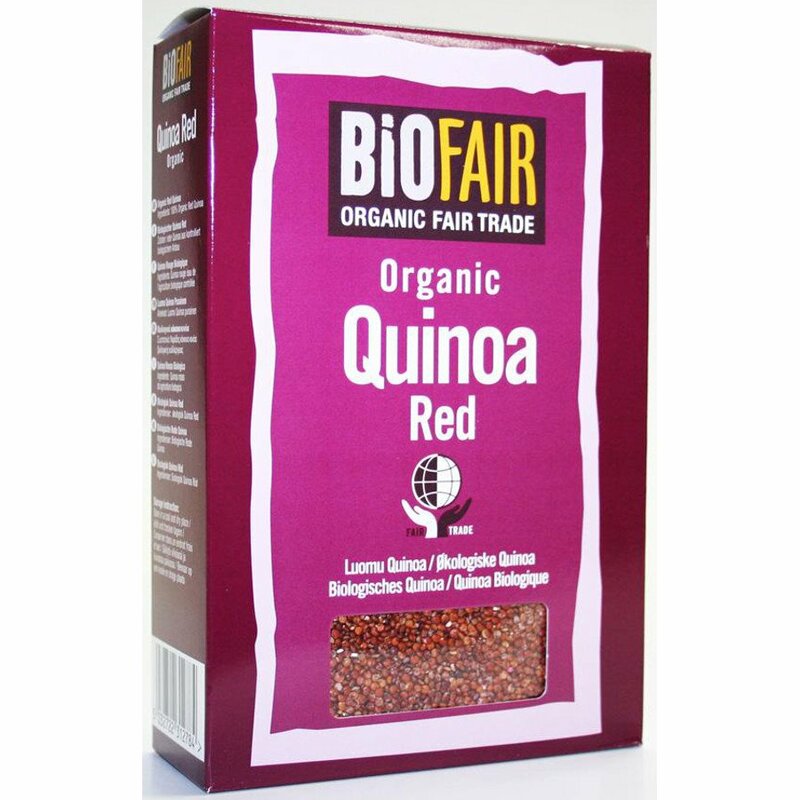 Originating from Bolivia / Ecuador & Peru, Biofair Organic Fair trade Red Quinoa is high in fibre and provides a good source of protein. Perfect as a salad base or with savoury dishes. Cooking Instructions: Take one part quinoa grain, rinse well and cook with two parts water. Bring to the boil and simmer gently for approximately 10 minutes with the lid on. Remove from heat and leave covered awaiting absorption of all liquid. The Biofair Organic Red Quinoa Grain - Fair Trade 500g product ethics are indicated below. To learn more about these product ethics and to see related products, follow the links below. 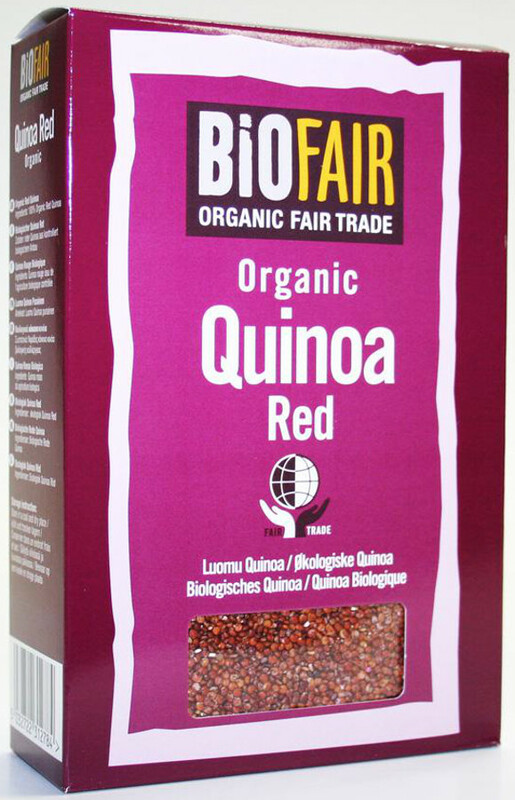 There are currently no questions to display about Biofair Organic Red Quinoa Grain - Fair Trade 500g. At Biofair, all products are both fair trade and certified organic. Their aim is to help third world communities develop economically sound trading relationships, and at the same time protecting the health of farmers and the integrity of the local environment. Whilst giving their trading partners long term trading guarantees and fair prices, Biofair ensures that the consumer gets premium quality goods which are organically grown and ethically sourced.